Just thought I'd share this with you guys... Blast from the past. ...Basically - the car was never the same again, the injectors might have seized? I don't think my dad's managed to love me ever since. 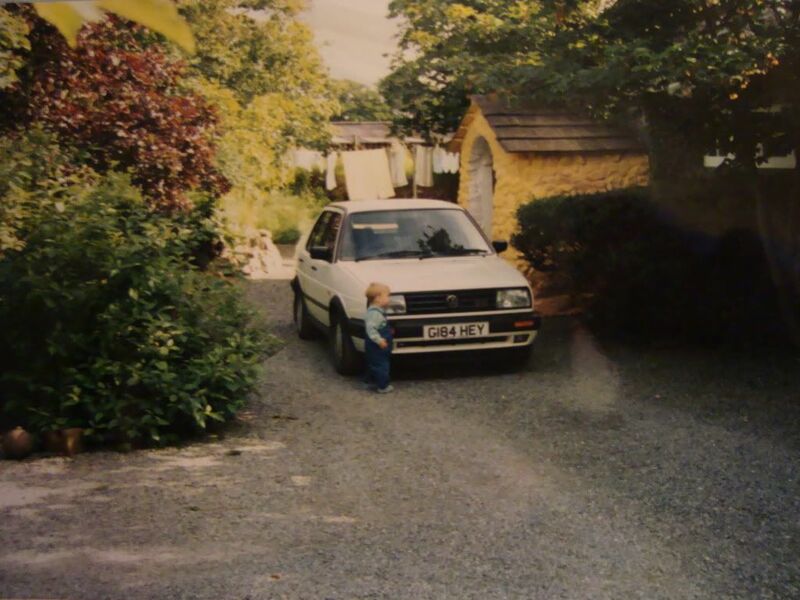 This is how our driveway looked 12 years ago... Mk2 1.8 Golf "Tour" and a 2.0L Passat CL or GL. 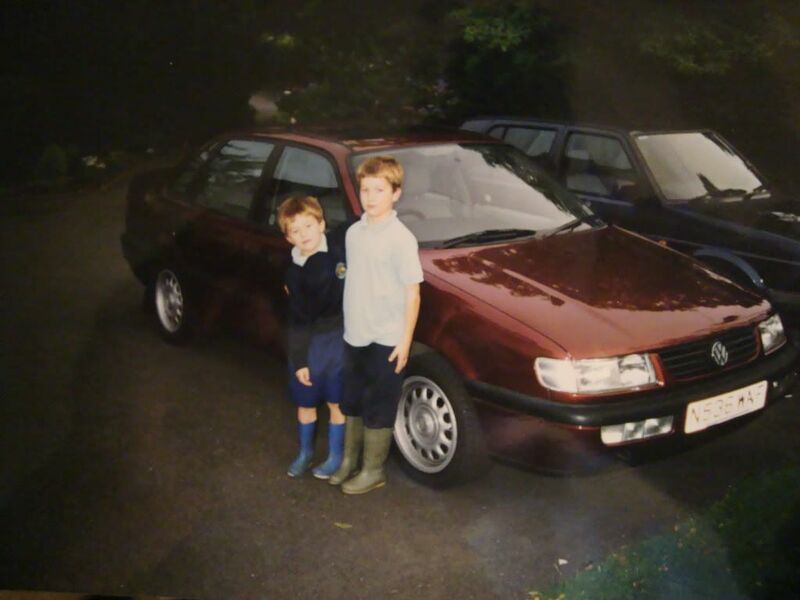 Yeah baby, me and my bro take a pose infront of the Passat before dad had to get rid of it a month later with another addition to the family on the way. Reg is N536 WNF - dunno if this rings any bells to anyone on here? My dad's just wet himself mate!! And says that it looks magnificent ha. But is a little dissappointed that the party piece (the electric wing aerial has been removed) There's been a blast of excitment in the house! I'm amazed!! You got any more pics? Dad would love to see 'em!! Ha NO WAY!! I'm amazed that it's still going! Could've sworn that that would've been off the road years ago!! it'll come up on last, but you can go back to first page. Amazing!! Thanks a lot mate!! My dad's amazed!! You've worked wonders with it... so the engine you took out before putting in the VR6, was that the standard engine? sorry its not owned by myself. You've Got to buy it !!!!! If I were him - it'd have to be one of 10 things to do before I died ha. you buy it, then he can get his own back on you, he can fill the fuel tank up with water..
haha yeah man! I would if I had that money laying about! No doubt. Felt like such a shiznit bag years later after doing that! It was only 4 - 5yrs old when I did that to it :-/... never the same again apparently. Definitely got to buy it back. Awesome!! ...yeah man I'd love to themimoth! (He went off course here a bit, DAMN KIDS) - Mitsubishi Spacewagon 2.0 GLXi 16v OH YEAH BABY! 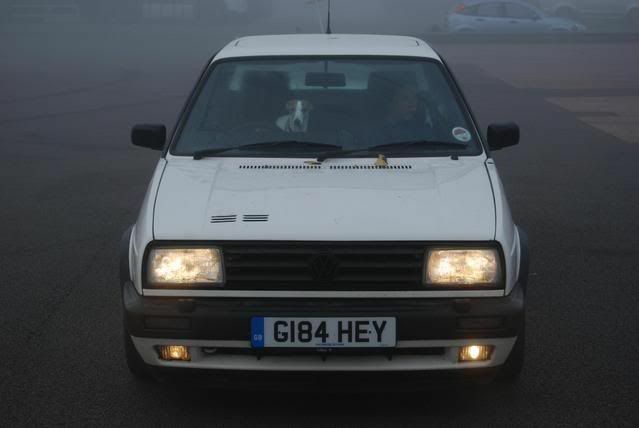 she had a 1.8 gti corado as a daily when she had the mk1 golf. God, your mum's awesome!! When I grow up, I wanna be your mum! ha. That's amazing! My mum's the typical "as long as it gets me from A to B I'm not bothered..." man I hate people who say that... they're so much moore! Pianoman, you or your dad should so buy this little gem back!! If it wasn't for me noticing the registration and recognising it from JOC.uk,Popeye wouldn't have updated you on the progress and this chance would've slipped by.